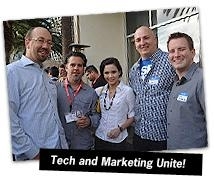 LA AdTech welcomed OMMA to Los Angeles with a networking reception at the OMMA Display conference here on July 24th. The evening event brought together several hundred of the best and brightest professionals from LA, a region that's proving to be a strong player in the ad and marketing tech industries. In conjunction with LA AdTech, the reception was hosted by several Los Angeles area companies including: FastPay, GumGum, OpenX, Siemer & Associates and The Trade Desk. 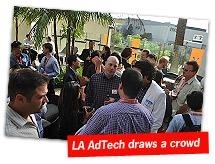 LA AdTech is a Los Angeles-based organization that connects industry professionals and provides educational opportunities through programming focused on ad and marketing technology topics. To learn more you can visit: http://LAadtech.com/. View more photos on the MediaPost Facebook page.